With longer days and warmer weather come more nights out with our friends. And while we’re all for a party or ten, we’re also for being smart and keeping our bodies safe when hanging with new dates or fast friends. 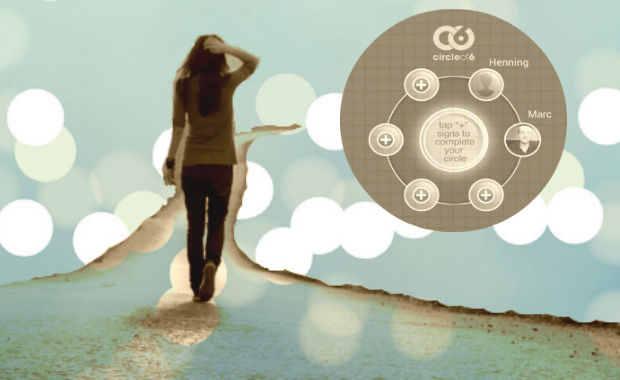 Enter Circle of 6–an app for iPhone and Android that helps you reach out to family and close friends when a party or date goes from fun to weird. 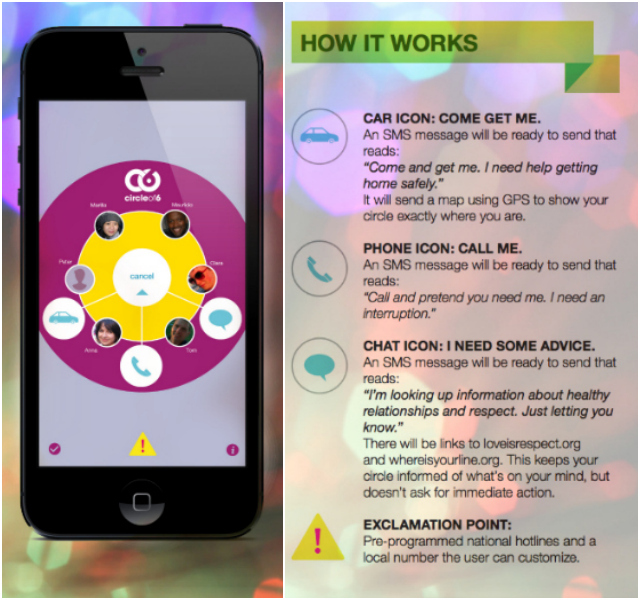 After distinguishing the six people you want the app to reach out to in times of need, it allows you to quickly and easily send texts to that group that signals you need to be picked up and gives a GPS map of where you are (handy for when you just kind of ended up somewhere–and aren’t quite sure where that somewhere is), and asks your circle to call you and interrupt your night as a way of checking in (great for when out with a date and you’re looking for a trusted second opinion on whether a situation is moving into a potentially dangerous zone). The app also offers a quick way to connect with dating violence and sexual assault experts and ask questions that need a professional’s opinion and may be too delicate for even your most trusted of friends and family. So even if you’re in an unfamiliar place, suddenly alone with a guy or girl you’re not so sure of, or are just walking home alone at night, you’re never totally alone again.